For more information about yacht jobs, click here to download part 1 of The Yacht Job Handbook for free. Always keep an open mind and try new things - you may think you are meant to be a stewardess and find that working on deck suits you more, or vice versa. 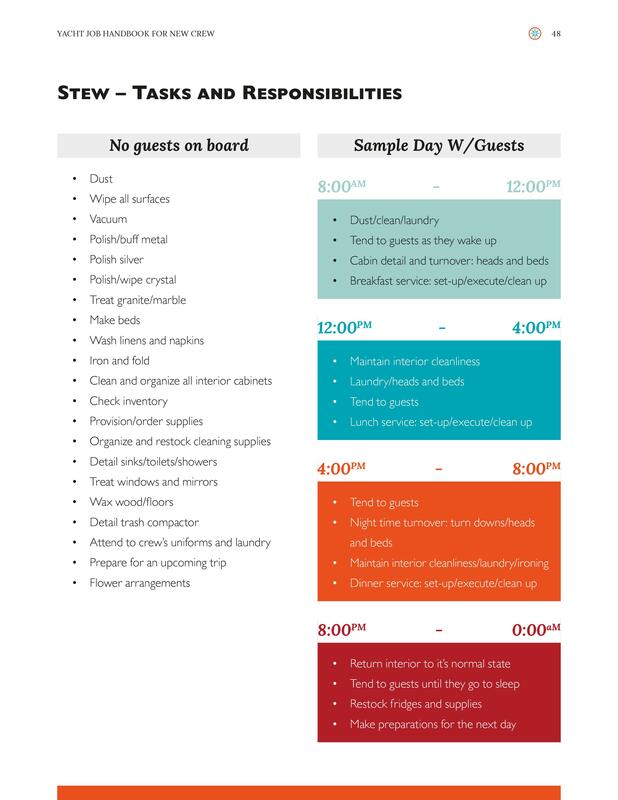 Don’t get too intimidated when looking at the skills and duties listed below. While these are skills you will be expected to learn and cultivate eventually, (the quicker the better,) you don’t necessarily have to have prior experience when you’re just starting out. Teamwork makes the dream work. As a member of the crew you’re part of a team, so you should expect to help out anyone and everyone on board if necessary, even if it’s not technically a normal part of your job or department. You may have a very impressive resume back on land, but college degrees and PHD’s will not go far on the 7 seas! If you’re serious about pursuing a job on a yacht- you will have to work your way up the ranks one step at a time. Whether you want to start a new career, or just try it out for a year, you’re going to have to start…. You’ve gotta get in where you fit in! 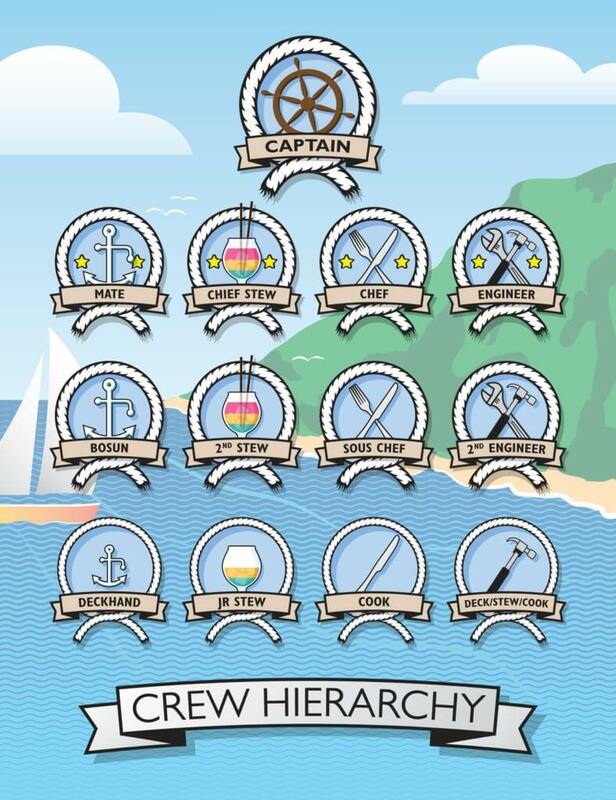 Let’s take a closer look at each of these positions so that you can decide for yourself: which crew are you!? Below we will go over the general overview of each position. If you would like to learn more about what type of personal skills are necessary to perform the typical day to day duties. As a stewardess your domain is going to be the interior of the boat, meaning a majority of your time will be spent inside. You will be responsible for the upkeep, appearance, and cleanliness of everything, and you will be expected to do so with an an extremely strong attention to detail. A guest should never have to be burdened with the site of one single finger print or speck of dirt on any surface! This position is more commonly held by females, although not always. Many boats are now combining the roles of a stewardess with those of a deckhand or even a cook. 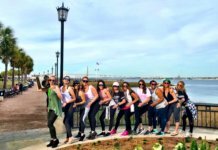 This job is great for high energy, resourceful, and well organized individuals. 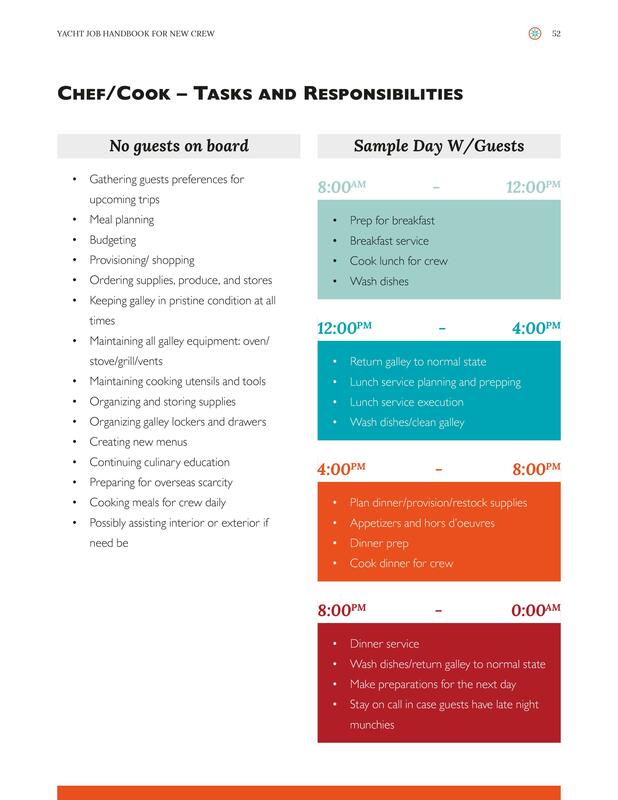 You will be expected to work around the clock, ensuring that the guests’ needs are met. The word “no” is no longer a part of your vocabulary. Their wish is your command! As a deckhand you are responsible for the exterior of the boat, and a majority of your time will be spent outside. Keep this in mind if you can’t handle the sun beating down on you all day! 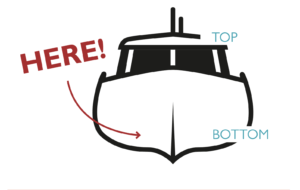 You basically have to make sure the exterior of the boat looks brand new at all times, which can be a LOT of work, and let’s just say- manual labor. 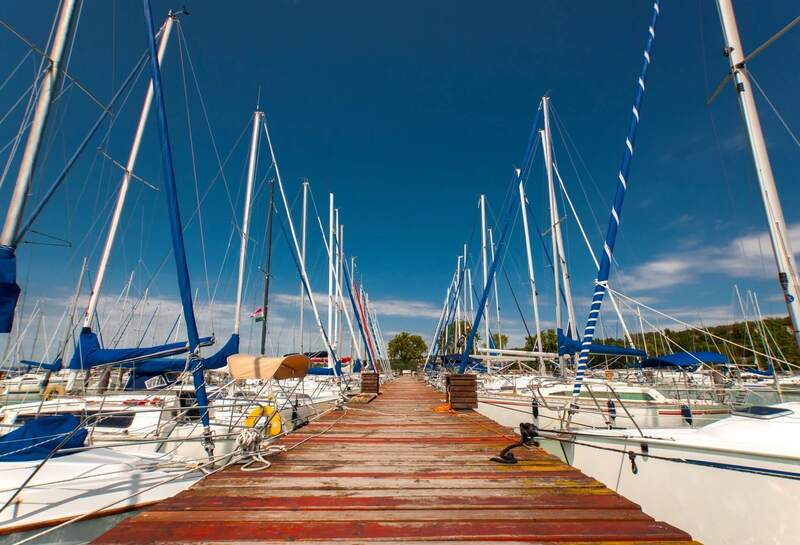 You also have a lot to do with preparations for leaving and arriving to port, as well as any of the watersports or other outside toys that come along with the boat such as jet skis, paddle boards, inflatable floats / slides, etc. You must monitor and maintain the safety of the guests and crew at all times. A majority of deckhands are male, but there is a fast growing number of female deckhands or deck/stews in the industry. I was a deck/stew on my first boat and highly recommend it! This is a great job for a strong, adventurous, outdoorsy person who is able to spend long hours outside in the sun, and doesn’t mind getting wet, sweaty, salty, and sandy on a regular basis. Physical strength and stamina are 100 % necessary. MAKE THIS DREAM JOB YOUR REALITY! Get Exclusive Yacht Job Content Delivered to Your Inbox! As a chef your domain is the galley (the kitchen of a boat) and nothing else. You may spend 16 + hours in the galley all day if that is what the job entails. Many people would agree that on many boats- this is the most tedious position of all. While most chefs are very experienced, some smaller boats will hire on less experienced “cooks” or even just people who claim they can cook, and often times that role may be combined with a stewardess or deckhand position. As a chef aboard a superyacht you are expected to concoct culinary masterpieces for every single meal that the guests eat on board. You must be knowledgeable, versatile, and creative and it is advised that you really have a passion for preparing food because you will be doing it around the clock! 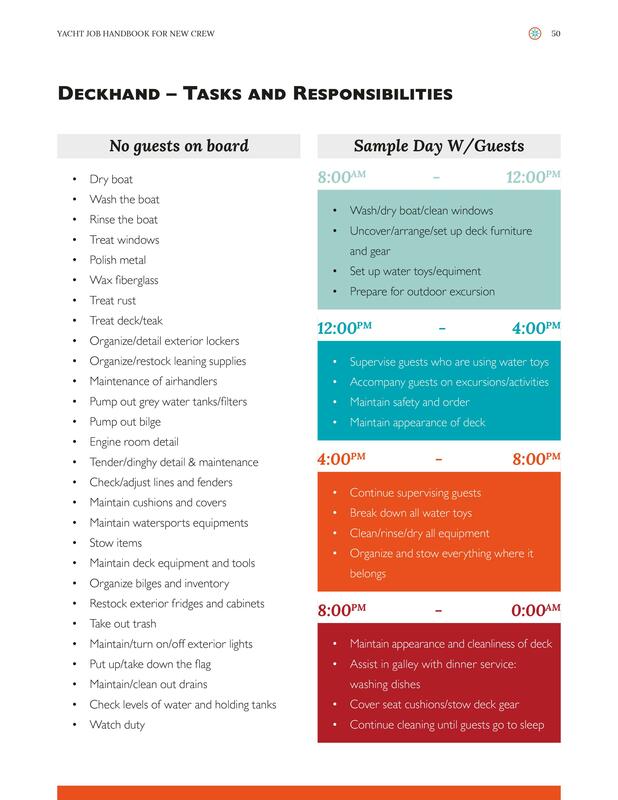 As I mentioned above, many boats combine the roles of a deckhand, stewardess, or cook into a hybrid position in which you basically carry out a variety of tasks that depend upon what is the most urgent, or which of the work detail circumstances (listed below) the boat is in. In this case you just bounce around to where you are needed most and serve as an assistant to the rest of the crew. It is a great opportunity to learn the foundations of all of the positions on board and eventually decide which position you truly enjoy the most if /when the day comes that you have to choose one. There is really no end to the different variations of tasks you will have to perform in one of these combined / hybrid positions. My advice to you if you get a job offer for one of the “joint positions above” is to make sure that it is clear of what is expected of you before you accept the job. Sometimes (not too often) new crew get taken advantage of by accepting a position (with low pay!) and ending up having to perform way more duties than what is fair or even humanly possible. On the other hand- I highly recommend a joint position as long as you know what you’re getting yourself into and everything seems fair. Subscribe to my YouTube channel and you will automatically be entered to win a free digital download of The Yacht Job Handbook. A new winner is chosen every Friday.